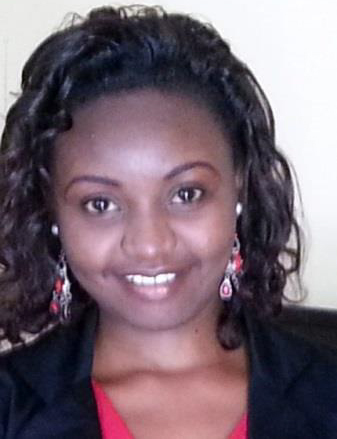 Monicah Waruinu Njuguna is BecA-ILRI Hub’s Laboratory Procurement Assistant. Her key role is ensuring efficiency of the procurement process within the research platform. Monicah has four years progressive experience in procurement and logistics in medical and laboratory equipment and consumables for the government, private sector and NGO's. Before joining the BecA-ILRI hub, Monicah was the procurement logistician at Alpha Medical Manufacturers and a procurement officer with Harleys Limited, a leading regional distributor of pharmaceuticals, surgical, equipment and consumables for medical and research institutions. Monicah has a Bachelor’s degree in Biochemistry from the University of Nairobi; an Advanced Diploma in Purchasing and Supplies (CIPS UK); and is currently pursuing her Master’s Degree in Procurement and Logistics from Jomo Kenyatta University of Science and Technology.